From his experiences, Brad recognized the need for a system that makes vehicle recovery and extraction a safe, simple, one-person task and eliminates the need for any outside assistance such as towing, snatching, or winching. MAXTRAX came from Brad’s idea to develop a foolproof and fail-safe quality Australian made product to make extracting or recovering a stranded or bogged vehicle a safe, simple, quick and easy procedure. Due to Brad’s experience, ingenuity and “hands- on” research, the idea of an alternative and innovative vehicle recovery device that was safe, simple, quick and easy to use eventually came to fruition in the form of MAXTRAX. 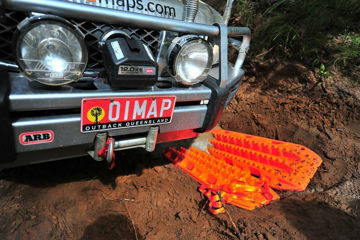 Since then MAXTRAX have been discovered by 4WD adventurers around the world as the safe, simple, quick and easy method of vehicle recovery. 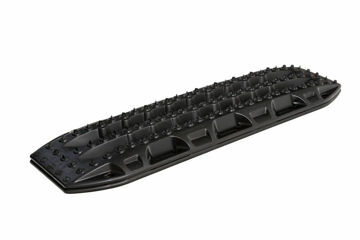 MAXTRAX are now widely available around Australia at most ARB, TJM, Opposite Lock, BCF, and Supercheap Auto stores as well as a number of independent retailers, and from stockists in over 30 countries including the USA, Chile, South Africa, Egypt, France, England, Russia, Kazakhstan, Mongolia and UAE, to name just a few. Our customers now include mining, energy and exploration companies, government agencies, 4WD trainers and tour operators, lifeguard services, rural fire services, State Emergency Service branches, off road rally drivers, the Australian Army, US Defense Force and the United Nations. MAXTRAX, the essential vehicle recovery device for anyone who enjoys life ‘off the beaten track’. Take the easy way out! Take MAXTRAX!